My wife and I took a trip to Tennessee last week, for a vacation and to attend a wedding (congrats Larissa and Nate!). 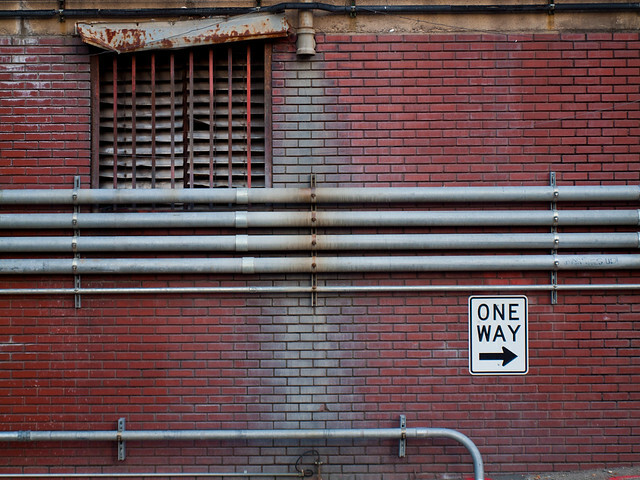 We stopped in Nashville, and I had some time to try to get a few pictures. 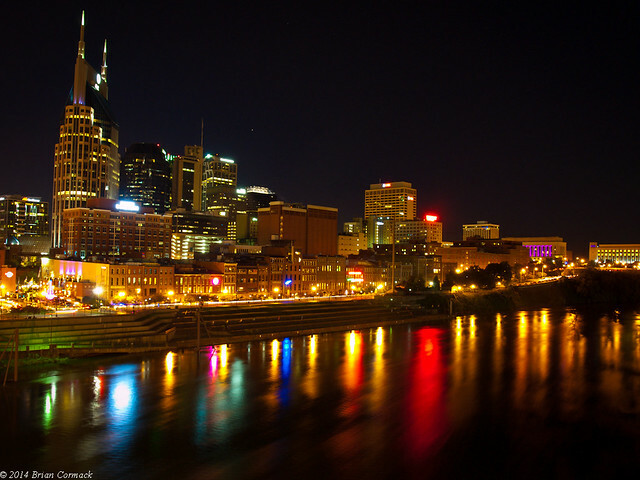 I went to a pedestrian bridge over the Cumberland River for a few shots of the downtown skyline. It was just after sunset, but I was a few minutes too late and missed any color in the sky. 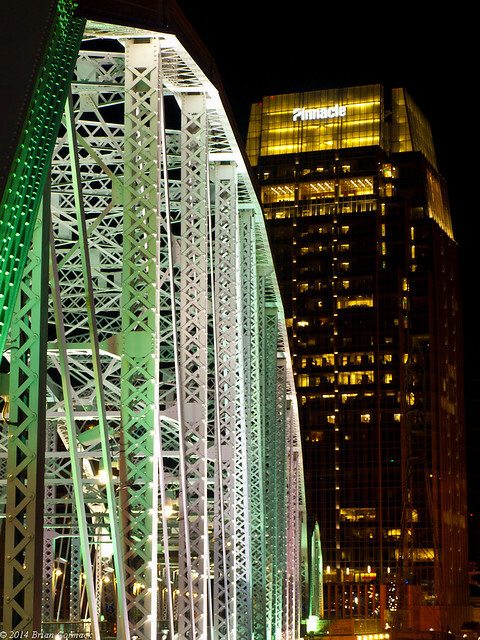 The bridge was built in 1909, and was converted into a pedestrian bridge in 2003. It provides a good view of the skyline and the football stadium. And also, since it's Nashville, there are lots of people walking across it wearing cowboy hats and boots. 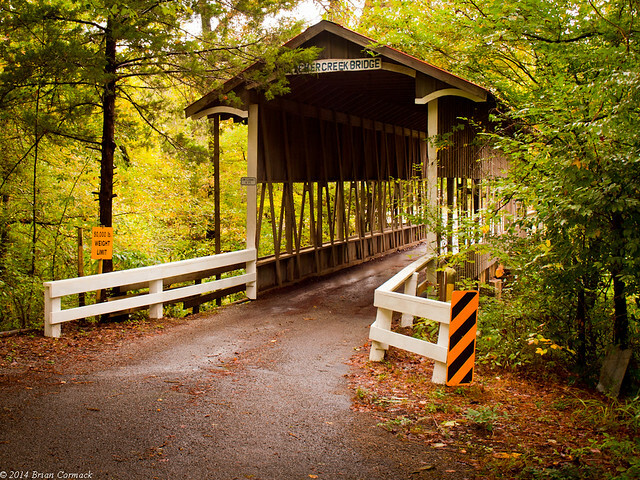 The other day, I headed out to a small wooden bridge that is actually just a few miles outside of Little Rock. I like it, since it's a neat old bridge and it's only a short drive from work. It had poured down rain that day, but the sun was just starting to break through the clouds. We went to the Food Truck Festival in downtown Little Rock last weekend, and while enjoying the novelty of drinking a beer in the middle of Main Street I spotted a few things that might make good photos. I headed out the next afternoon with the real camera to take a few pictures. 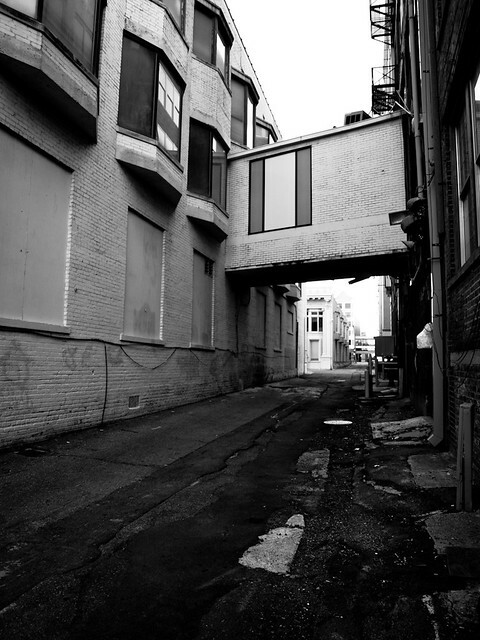 This was along an alley way, by the future location of the Little Rock Technology Park. This is below a small parking deck owned by a former employer, KATV Channel 7. 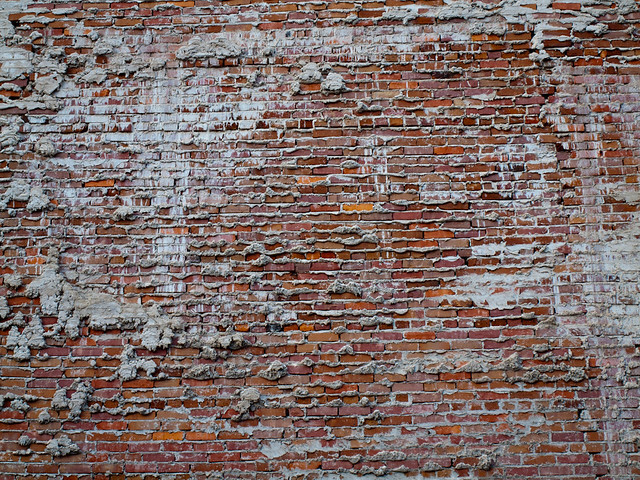 And a nearby brick wall, where the old Center Theatre used to sit. Like so many other buildings downtown, it was torn down a few years ago and replaced with a parking lot. But this will be part of the upcoming Technology Park someday too. 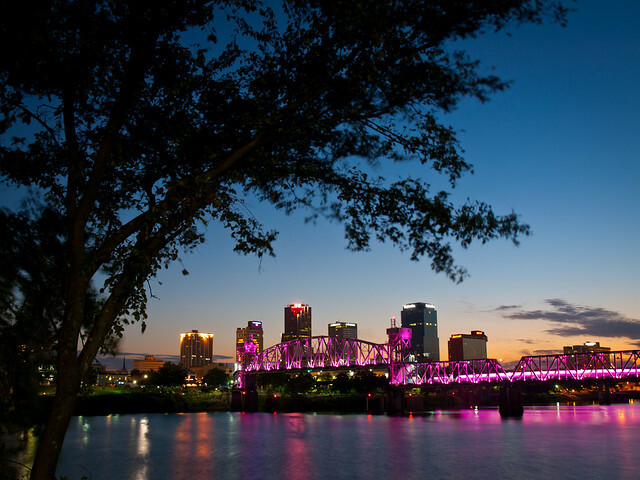 I headed across the river to the Riverfront Park in North Little Rock to get a few shots of the skyline and the Junction Bridge. 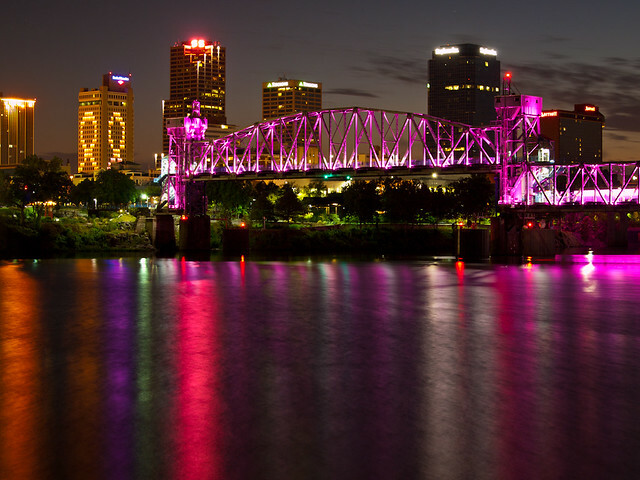 The bridge had pink lights because the Race For the Cure had been held the day before.